30"x 24"x 1-1/2" 36"x 24"x 1-1/2" 42"x 24"x 1-1/2" 48"x 24"x 1-1/2" 60"x 24"x 1-1/2" 72"x 24"x 1-1/2" 84"x 24"x 1-1/2" 96"x 24"x 1-1/2"
Quality wooden table tops can make all the difference in distinguishing a fine eatery or tavern. The wood used in these premium tops is hard maple, harvested exclusively from sustainable North American forests. This maple wood is a lovely blend of soft earth tones: light tans and light to medium browns. The result is a neutral color palette that can complement a wide variety of restaurant, deli or sub shop decors. Maple is the wood of choice if you’re seeking a lighter, airy feel to your dining or drinking establishment. Because maple’s coloration is soft and generally lighter than other hardwoods, it’s an especially good match for diners that do a brisk lunch business, sandwich shops or casual food service spots such as ice cream shops. Each maple top is finished with Tuff-Var, which adds luster, protects the surface against scratches and dings and makes for quick, easy clean-up. 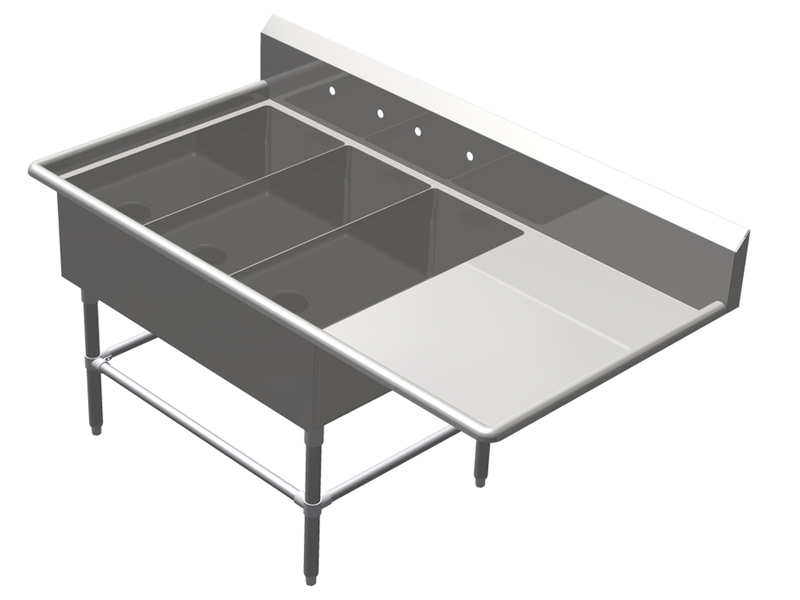 Boos is recognized as a premier supplier to the commercial food service industry. They’ve been constructing butcher blocks since 1887. 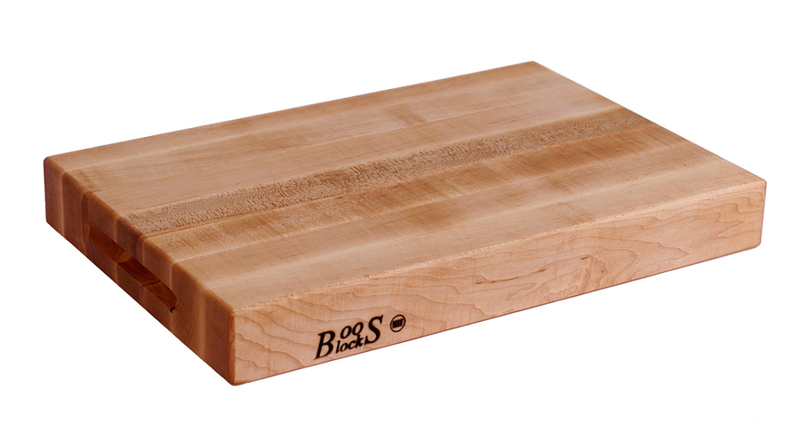 During the ensuing century-plus, Boos has optimized every facet of the harvesting and treatment of hard rock maple, and the overall process by which butcher block is made. Boos makes maple table tops in two different grain styles: edge and blended. The only difference between the two is the length of the board stock. Whereas edge-grain blocks feature wood slats that run the full length of the block, blended-grain boards use pieces of different lengths (except for the outside rails) that have been merged into longer rails using finger-jointed construction. That aspect aside, the manufacturing process is similar. These long strips of maple are glued together, side by side, then exposed to high heat and pressure for an extended period of time to ensure superb bonding. The standard (default) edge is a Single ¼” Radius on the top portion of the edge ONLY. 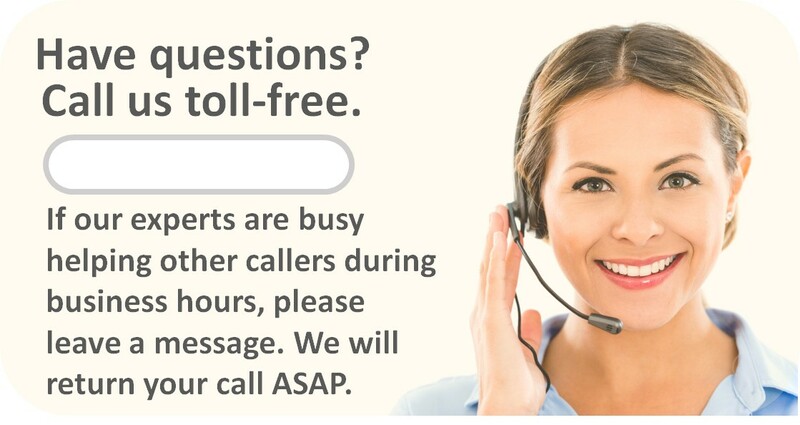 You have the option of upgrading to a Double ¼” Radius (i.e., on both the top and bottom of the edge). 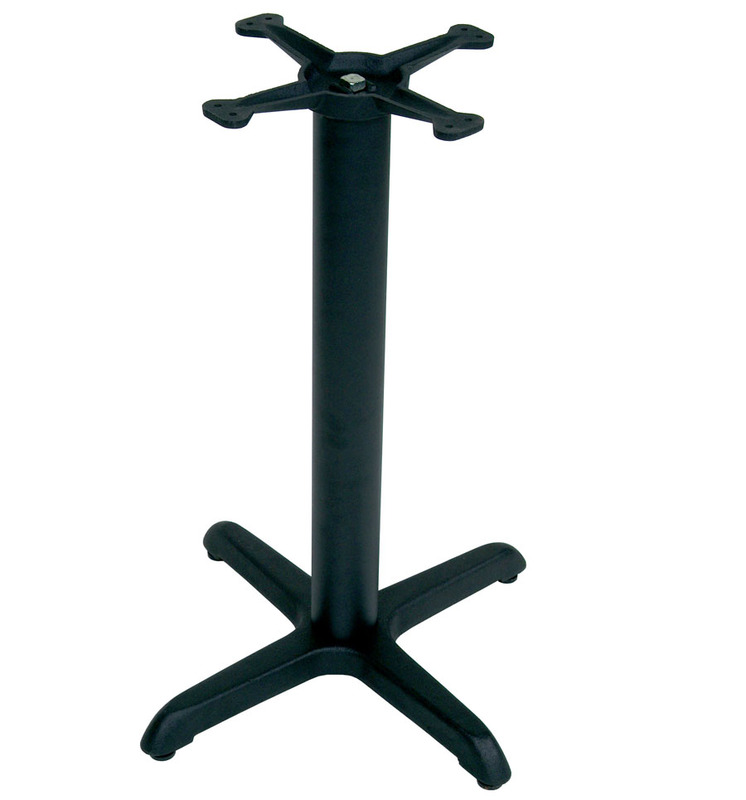 Black metal disc bases are available for tables 24 to 60 inches long. Black metal cross bases are available for tables 24 to 42 inches in length. 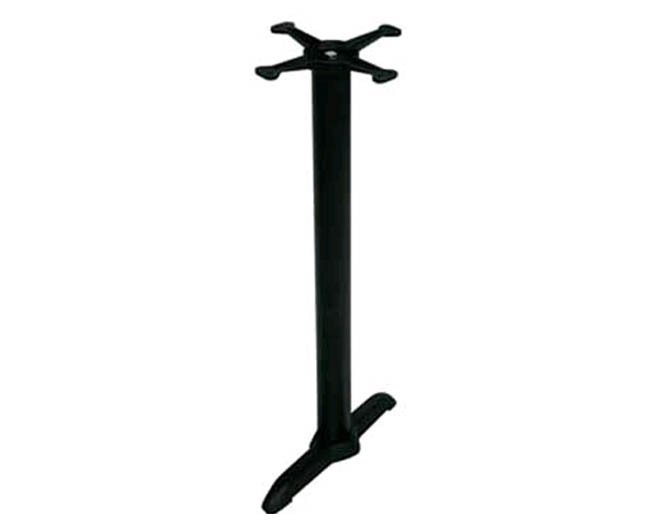 Black metal “T” bases are suitable for tables 48 to 144” long. The table below provides details. 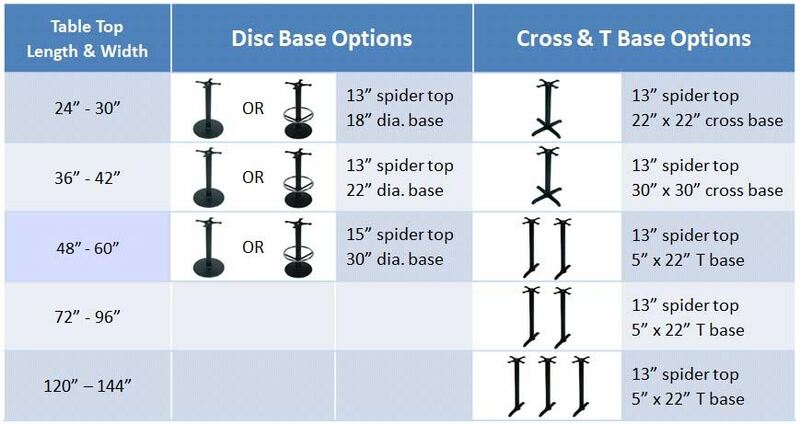 The illustrations below show disc base footprints relative to table tops. 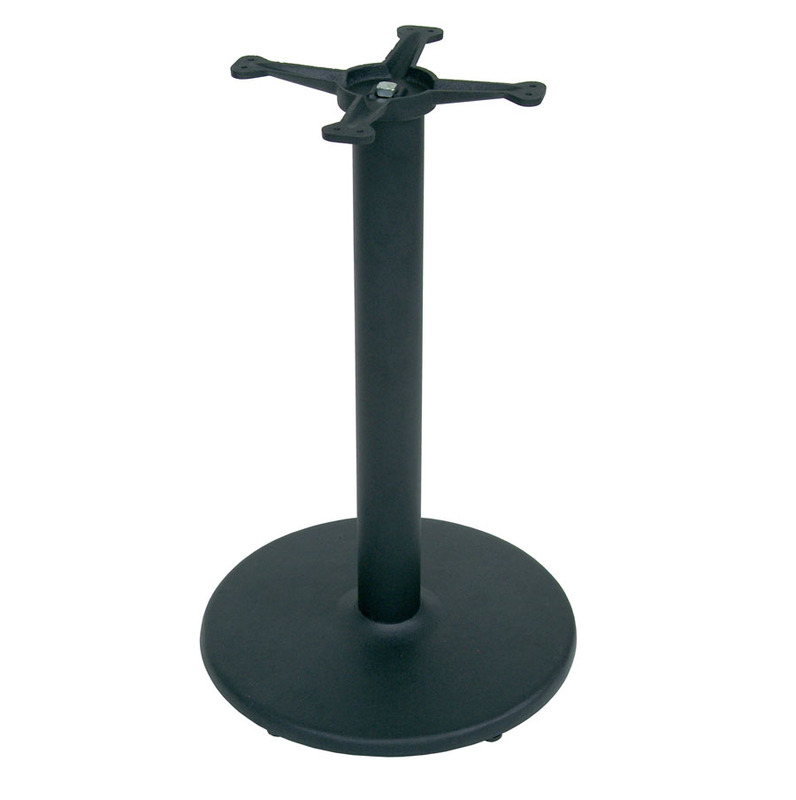 If you are contemplating purchasing a disc base for your table top, be certain you will be satisfied with how much floor space will be available for tucking chairs under the table.